Everyone knows a car needs gasoline to run, but what about the other fluids? Well, they are just as important. Cars require multiple fluids to function properly and safely that need to be checked on a regular basis and changed at manufacturer specified intervals or as needed. Have you checked these fluid levels lately, or have you let your car get thirsty? Motor oil cools the engine, lubricates parts, suspends dirt for filtering, coats parts to protect against rust and corrosion and seals spaces. It starts out as a light amber color and turns black from use. A marked dipstick is used to check the level. With the engine cool and the car parked on a level surface, pull out the dipstick and wipe it with a clean cloth. Insert it back and pull out again to check the current level. If a little low, more oil can be added where indicated. If the oil level continues to be low, then the car needs to be checked for leaks. Brake fluid is a hydraulic fluid that transfers the pressure on the brake pedal to the brakes to slow or stop the vehicle. If the fluid level is low, stopping ability is compromised and creates a safety issue. Being able to stop is extremely important to avoid accidents! Brake fluid is found in a transparent marked reservoir toward the back of the engine and should be checked when the engine is cool. More fluid can easily be added. If it is greatly lower than the minimum or has darkened from its usual light brown color, additional inspection and testing may be needed to check the brake system and fluid condition. Transmission fluid provides hydraulic power for automatic transmissions and also cools, cleans and lubricates the transmission system. It is a cherry red color. If it smells burnt or darkens, then it definitely needs to be changed. 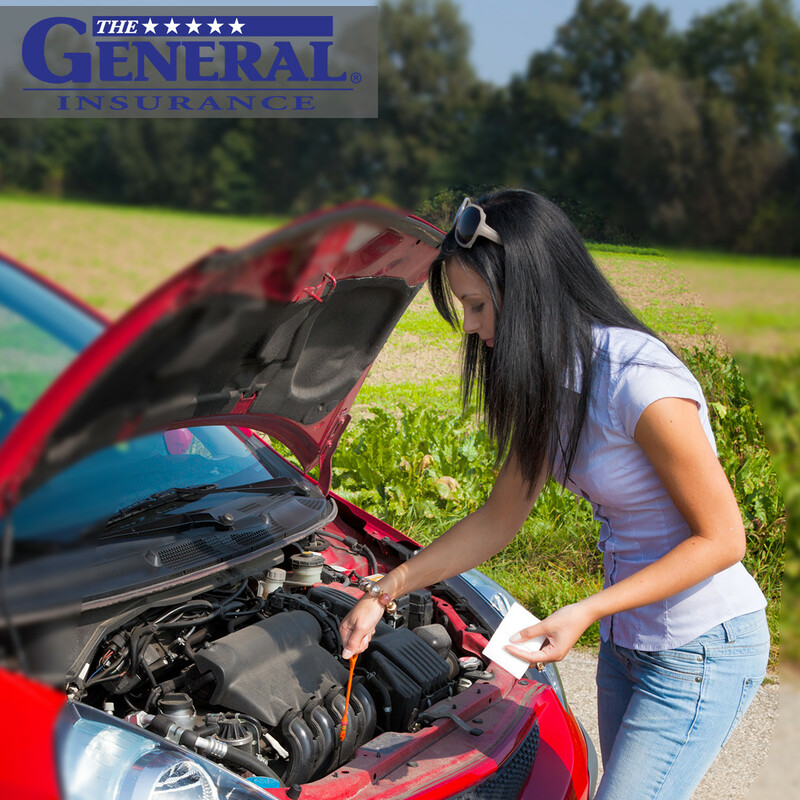 Not maintaining the fluid can result in the expensive replacement of a transmission system. A marked dipstick is used to check the level. With the engine slightly warm and running, pull out the dipstick and wipe it with a clean cloth. Insert it back and pull out again to see the current level. If the level is low, more fluid can be added where indicated. Antifreeze (also called coolant) keeps the water in the radiator and engine from freezing in cold weather and boiling in warm weather along with lubricating various parts. The fluid is green. An opaque marked overflow reservoir allows you to check the fluid level. If the level is low, you can now add premixed antifreeze instead of trying to maintain the 50/50 antifreeze/water ratio in the reservoir. Washer fluid cleans the windshield and on certain vehicles the back window. Without washer fluid, you risk not being able to clean the windshield while driving, which is a safety issue. This fluid is contained in a transparent marked plastic reservoir and is often colored blue. Special formulations have been created for winter use so the fluid does not freeze. So don’t let your car get thirsty. Be sure to check the fluid levels on a regular basis and change them when required. Your car will thank you with a longer life, better performance and lower repair costs.